We want to say a massive ‘Thank You!’ for all your continuous support. 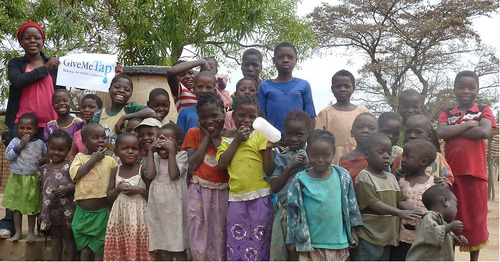 You have made a huge difference to these people’s lives by purchasing a GiveMeTap Bottle. We left Malawi with some very happy smiles behind and we can’t wait to see the impact that this clean water source will have on improving their lives. 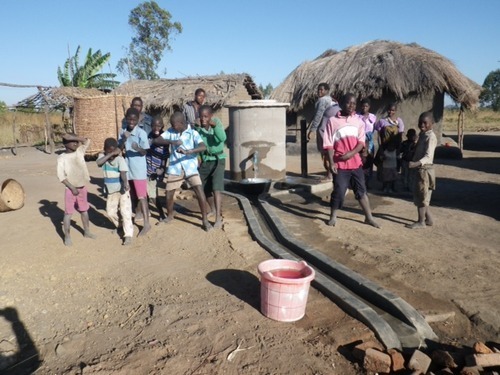 Many households were still using rivers and unprotected wells that were the source of waterborne diseases such as diarrhoea, typhoid, trachoma, scabies and cholera - for those of you that do not know, these are horrific diseases. 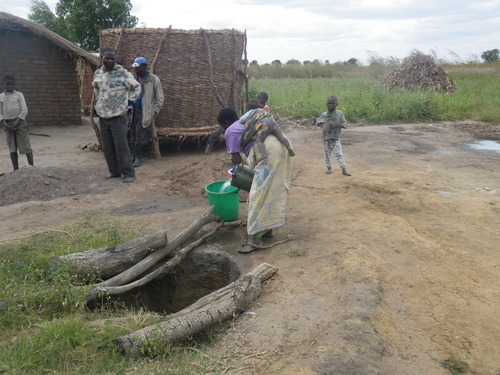 The picture below shows the water source which was available in the village prior to the GiveMeTap project. The village had access to only an open well, completely exposed to contamination as can be seen from the photo below that these logs are not adequate from stoping much getting into the water. 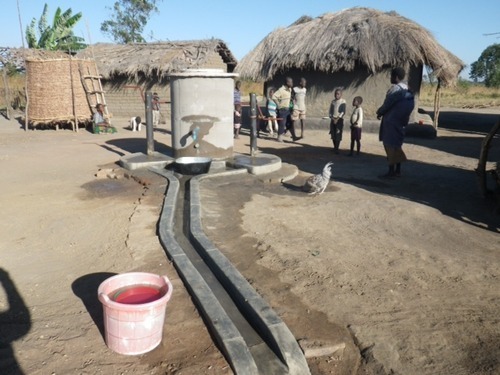 The well that you see below is the Zariko water point at Chafulumira Villa in Mchinkji District, Malawi. You can have a look for yourself, just enter these GPS details into Google Maps -13.6247 and 33.17295! The pump that we built is called an Elephant pump and is designed by the wonderful organistaion PumpAid. The parts of the pump are produced locally by welders under the supervision of PumpAid. Welders make the wheel, the axle and the ratchet from locally sourced steel - increasing efficiency for the village. The completion of this project required key steps to ensure success: 1. planning and community mobilisation, 2. site preparation, 3. pump fabrication, 4. well preparation, 5. pump installation, 6. beneficiary training, 7. sanitation training 8. M+E. To embed responsibility of managing the pump across the entire community, a local committee was created including both male and females on the board; Mark Zuly was appointed as Chairperson, Jenete George as vice Chairpreson, a secretary, vice secretary, treasurer and additional committee members. The role pump minder was assigned to Paul George. The responsibility of this committee is to maintain and fund to pay for minor repairs such as replacing ropes and washers. We left Malawi with some very happy smiles behind and we can’t wait to see the impact that clean water will have on changing these people’s lives. What you have done is nothing short of amazing. The impact that a small 500ml bottle can have is truely remarkable, and we have you to thank for that. In the short time that GiveMeTap has been in existence, we’ve helped complete 3 water projects that has changed so many lives, and reduced hundreds of thousands of plastic bottles from going to landfill sites, while keeping your hydrated everywhere. 2. Get a GiveMeTap bottle. A GiveMeTap bottle makes a wonderful Christmas stocking. Much better than giving someone another pair of socks!